One of the bigger parts of Intel’s product portfolio that rarely gets a mention is the vPro product line. 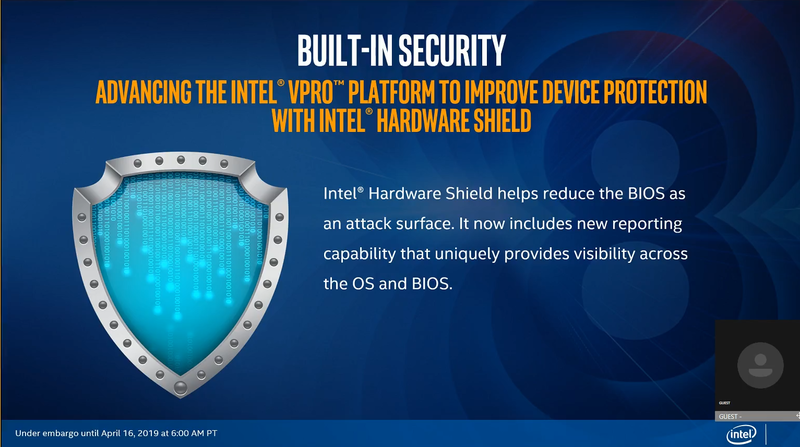 vPro consists of a specific combined processor and chipset portfolio that offers Intel’s commercial customers the ability for commercial stability, extra administration options, and extra hardware security. Today Intel is announcing its latest mobile vPro processors, which will form part of the company’s 8th Generation Intel Core line-up. The two new processors are a single Core i7 offering and a Core i5 offering. Both CPUs are quad core with hyperthreading, with a 15 W TDP, but differ in frequency and cache size. Both CPUs support DDR4-2400 or LPDDR3-2133, depending on power/performance requirements. The vPro CPUs look a lot like their constituent Whiskey Lake non-vPro counterparts. 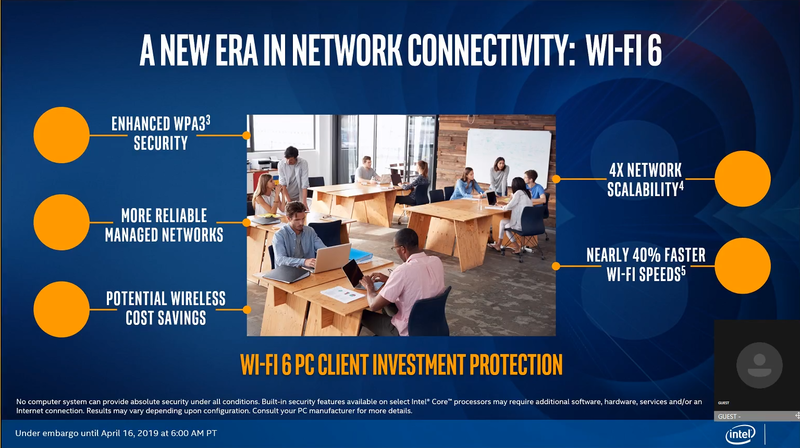 The added benefit of vPro includes additional BIOS protection, removing it as an attack vector, remote corporate management control (for protection, updates, pushing software), Wi-Fi 6 support for vendors who use the new Intel AX200 controller, and the fact that these vPro solutions often end up in mid-range to high-end devices, potentially providing better battery life, portability, and experiences. 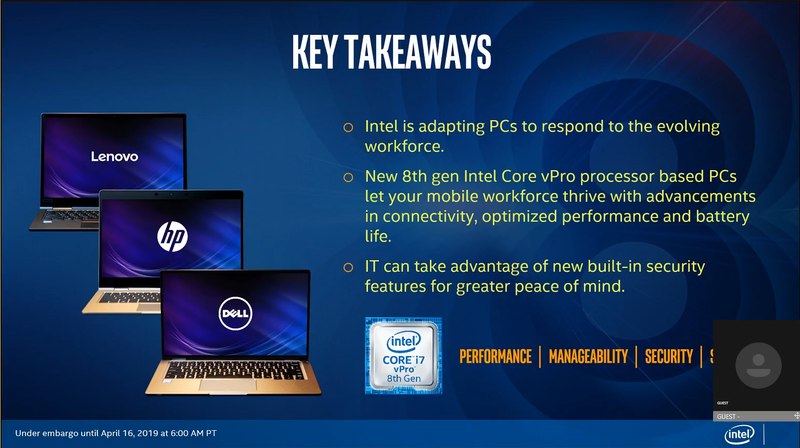 One of Intel’s key marketing goals with this new line of vPro is for the mobile workforce – for the worker external to the office. Intel will also be pushing its Optane H10 storage drives for these solutions, pairing an NVMe SATA SSD with a small amount of Optane cache for better immediate performance. There will also be a sizeable push for Thunderbolt over Type-C, to enable better connectivity options. Intel stated that its main OEM partners, such as Lenovo, Dell, HP, and Panasonic, will all have devices to show its customers. We expect to see systems built on these new processors announced today, as well as through to the end of the year. The annual Computex trade show is only a few weeks away, so we might see some devices there as well.